One of the benefits of being a talented old cruster who’s been playing music and living in SLO County for decades is you eventually meet all the other great pickers, pluckers, and bowers in the area and can gather them together every once in a while for a super show, which is exactly what New Times Music Award-winner, exotic animal handler, crack shot, and irascible lady charmer Don Lampson plans when he brings The Vigilante String Alliance to Steynberg Gallery on Saturday, Jan. 28 (7 p.m.; all ages; $15 presale at 547-0278 or $20 at the door), for his mid-winter musicale. 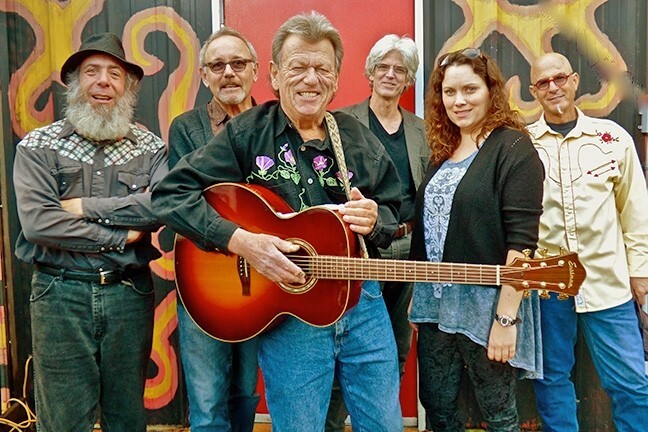 PICKERS DELUXE: The Vigilante String Alliance—(left to right) Dan Mazer, Bob Liepman, Don Lampson, Charlie Kleeman, Julie Beaver, and Dorian Michael—plays Steynberg on Jan. 28. Lampson will be joined by guitarist extraordinaire Dorian Michael, fiddling queen Julie Beaver, banjo bad boy Dan “BanjerDan” Mazer, cello champ Bob Liepman, and upright bass badass Charlie Kleemann. Expect stirring Americana songs about trains, ne’er-do-wells, outlaws, lovers, and wide-open spaces—some original and some traditional. The SLO Blues Society has been bringing great blues music to the Central Coast since 1980, making it the third oldest blues society in the U.S. During that time they’ve created a real community of people who like to get down and boogie, and this Saturday, Jan. 28, they’ve got another killer blues show lined up when Rod Piazza and the Mighty Flyers come to the SLO Vets Hall (8 p.m.; 21-and-older; $25 tickets at Boo Boo Records, Cheap Thrills, or at the door; become a Blues Society member and pay just $20! Come at 7:30 p.m. for some free dance lessons.). Piazza’s enjoyed a long and storied career in the blues world, cutting his first recordings in the ’60s as The Dirty Blues Band frontman. The virtuoso mouth harp player—who counts George “Harmonica” Smith, Sonny Boy Williamson, and Little Walter among his mentors—eventually formed the Mighty Flyers in 1980, recording 26 albums to date. BRING THE BLUES: Rod Piazza and the Mighty Flyers play the SLO Vets Hall on Jan. 28, courtesy of the SLO Blues Society. 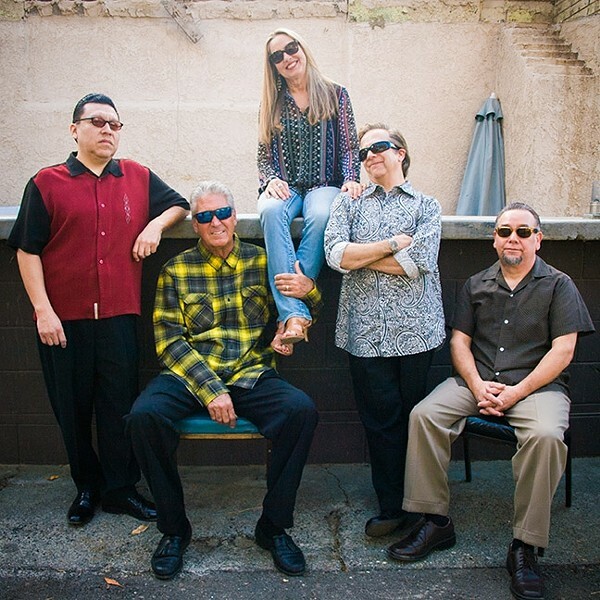 The West Coast blues scene staple mixes Chicago grit, West Coast swing, and the driving rhythms of early rock and R&B, as well as jump blues of the ’40s and ’50s. Local “boogie blues and swampified rock” band The Cliffnotes will open with their rousing sounds behind powerhouse vocalist Valerie Johnson, who was tapped by Big Brother & The Holding Co. to take Janis Joplin’s place. Don’t forget that this Thursday, Jan. 26, Orgone plays SLO Brew (10:30 p.m.; 18-and-older; $10), bringing their “dirty, organic, California soul with heart; music that grabs you by the collar, pulls you to your feet and shoves you wantonly onto the dance floor,” according to their bio. CLASS IN SESSION: Prof, née Jacob Anderson, plays a four-act hip-hop show at SLO Brew on Jan. 29. On Sunday, Jan. 29, hip-hop acts Prof, Willy Wonka, Metasoda, and Finding Novyon play the Brew (9:30 p.m.; 18-and-older; $15). Prof, née Jacob Anderson, developed his comedic, foul-mouthed rap persona as a teenager, originally calling himself Gampo. He’s apparently a love-him-or-hate-him kind of performer. 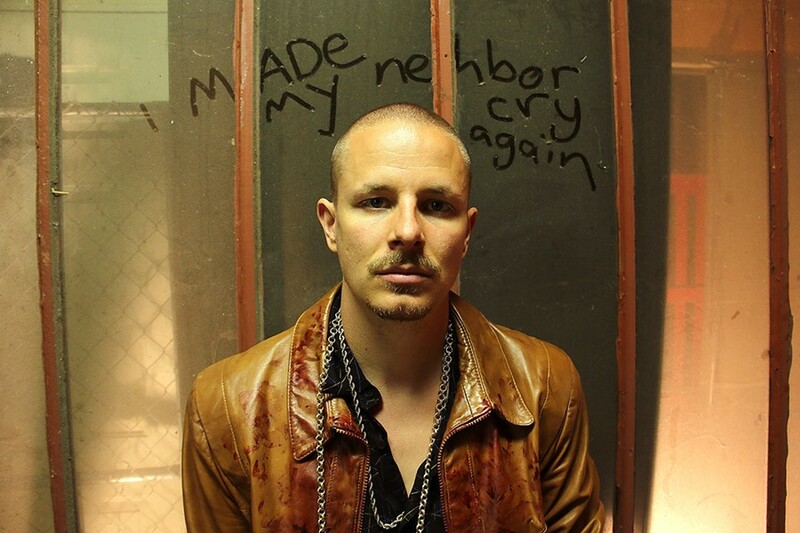 In 2012, he was named Minnesota’s 19th best rapper while Minnesota music writer Dwight Hobbes called Prof’s 2011 album King Gampo “asinine, narcissistic self-indulgence run completely riot, without a shred of redeeming artistry.” Kind of makes me want to check him out! 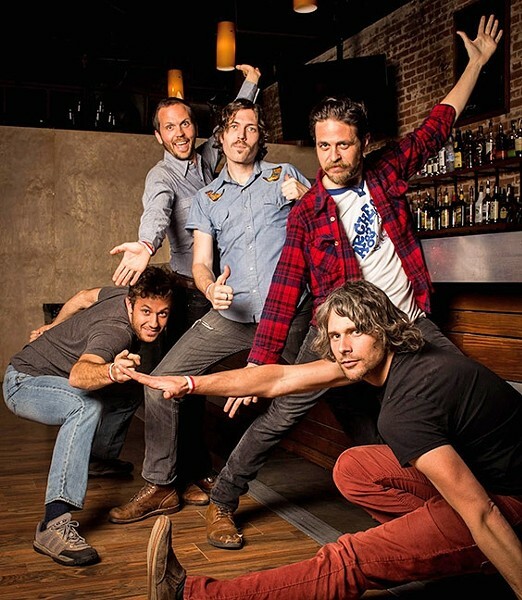 On Tuesday, Jan. 31, SLO Brew hosts Mike Annuzzi, RIVVRS, and The Brevet (11 p.m.; 18-and-older) for a night of alternative folk, pop, soul, and Americana roots music. 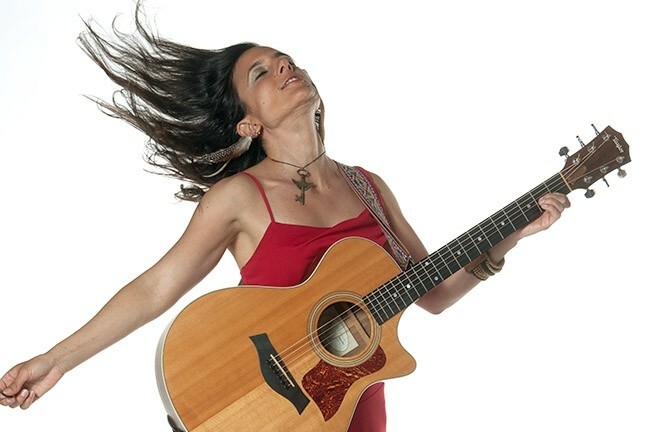 Annuzzi won the West Coast Songwriters International Song Contest Singer-Songwriter of the Year in 2013 and San Francisco’s Song of the Year 2010. 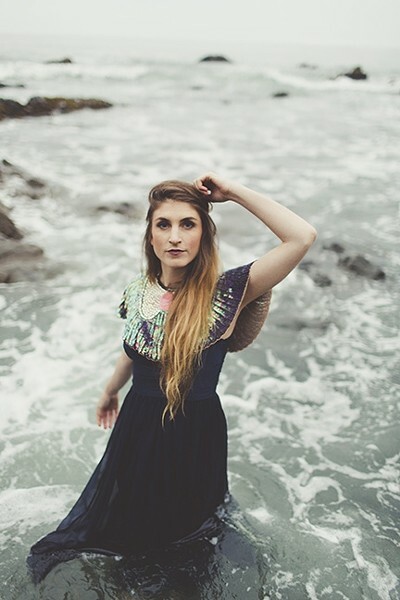 RIVVRS is an LA-based singer-songwriter who blends alt-folk, pop, and soul. The Brevet “channels a rustic, raw, and real energy, stitching together threads of soundtrack-style overtones, rock power, and Americana spirit,” according to press materials. ALL IN THE FAMILY: The Brothers Comatose play a Numbskull and Good Medicine Presents show on Feb. 2, at Fremont Theater. And next Thursday, Feb. 2, enjoy a Bob Marley birthday celebration with Resination and Ras Danny (10 p.m.; 21-and-older; $10). Wake up to the Coma Bros.
Good Medicine Presents and Numbskull hosts The Brothers Comatose next Thursday, Feb. 2, at Fremont Theater (7 p.m.; all ages; $18 presale at Boo Boo Records or ticketfly.com or $20 at the door). This is a brilliantly engaging string band whose third album, City Painted Gold, is absolutely infectious. “It’s just one, big, extended Morrison music party,” said brothers Ben and Alex Morrison, guitar and banjo, and lead vocalists, in their press materials. They eventually took up playing themselves, first learning classic rock covers before drifting toward Americana. They formed their band by posting fliers in San Francisco, and soon they had Philip Brezina, who was pursuing a master’s degree in violin performance at the Conservatory of Music. This is a tight, engaging band that’s clearly having fun on stage. If you haven’t had a chance to see these guys live, get your tickets! 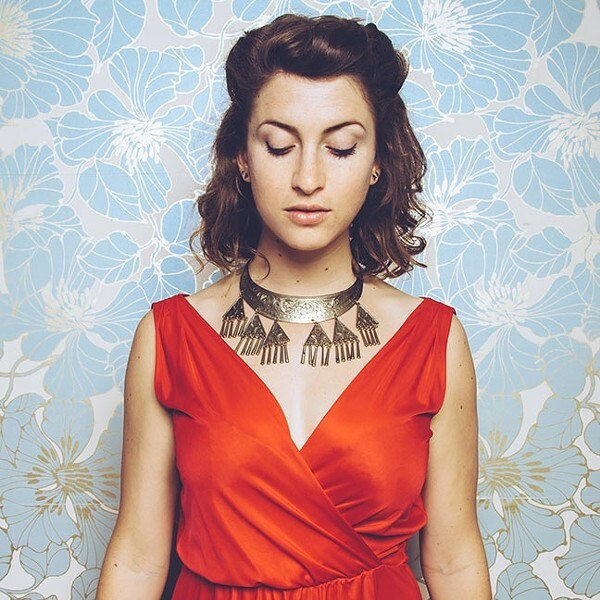 CHANTEUSE: Amazing jazz, blues, and roots vocalist Nicole Stromsoe returns to D’Anbino on Jan. 27. Toney Rocks plays this Thursday, Jan. 26, at Last Stage West (6 p.m.; all ages). Expect soulful singing as he accompanies himself on acoustic guitar, ukulele, and piano. LOOPER: Folk-rock singer-songwriter and on-stage looper Amy Obenski plays Jan. 27, at Paso’s Tin City Cider; and Jan. 28, at Linnaea’s Café. Folk-rock singer-songwriter and on-stage looper Amy Obenski returns with two shows this week, starting Friday, Jan. 27, at Paso’s Tin City Cider (6 p.m.; all ages; pass-the-hat). With an ethereal and dreamy sound made richer by looping technology, the engaging chanteuse has now recorded six albums of original material. You can also see her at Linnaea’s Café on Saturday, Jan. 28 (7 p.m.; all ages; pass-the-hat). The San Luis Chamber Orchestra plays Sunday, Jan. 29 (3 p.m.; all ages; $10 at the door), in Atascadero’s Hope Lutheran Church, performing Holst’s St. Paul’s Suite, Op. 29, No. 2; Richard Strauss’ Serenade in E flat Major, Op 7; and Bach’s Double Concerto for Two Violins (featuring Quinn and Gwendolyn Brussel, students of Concertmistress Lynne Oliverius). Ethereal pop quartet Shadowlands will also join in. The Kristen Black Band plays D’Anbino this Saturday, Jan. 28 (8 p.m.; 21-and-older; $10 at 227-6800). The minx-like singer-songwriter and New Times Music Award-winner plays everything from rock to folk to pop, and she may throw a little melodic punk rock at you! The Basin Street Regulars have a great hot jazz concert cooked up for you this Sunday, Jan. 29, when the Yosemite Jazz Band from Oakhurst and our own Rag Bone Saints play the Pismo Beach Vets Hall (1 p.m.; all ages; $10. Come at 11 a.m. with your instrument for a jam session). PINTS AND POP: Pop singer Kendra McKinley comes to Frog and Peach for Pint Night on Jan. 31. Renowned pianist and NPR host Christopher O’Riley performs at Cal Poly’s Spanos Theatre this Sunday, Jan. 29 (7 p.m.; all ages; $32 to $65 at 756-4849 or calpolyarts.org). Hear Philip Glass’ Metamorphosis Two and J.S. Bach’s Goldberg Variations. Kendra McKinley comes to Frog and Peach for pint night Tuesday, Jan. 31 (21-and-older). She “perceives a song like a painter views a blank canvas: an opportunity to expand an audience’s mind, to wash their thoughts in brilliant hues of blue and violet, scarlet reds and effusive orange,” said the pop singer’s bio. Billing themselves as a cosmic-Americana band, Grant Farm features vocalist and National Flatpicking Guitar Champion Tyler Grant, who formed his band in 2009 in Boulder, Colo. Great musicianship combines with psychedelic folk in this band that will play Frog and Peach on Wednesday, Feb. 1 (9 p.m.; 21-and-older; free). If you like the Grateful Dead, come on down! If you want to buy some records, sell some records, or swap some records, come to the SLO Guild Hall this Saturday, Jan. 28, from 11 a.m. to 3 p.m. for the SLO Record Swap (all ages; $2 admission; email slorecordswap@gmail.com for vendor info).